Once upon a time, a DC Comics house ad featured a gaunt, white-faced character with dark eyes glittering. He promised that he would show us terror in a handful of dust. With that boast, fans got their first exposure to a book that would help launch a new age in comics. 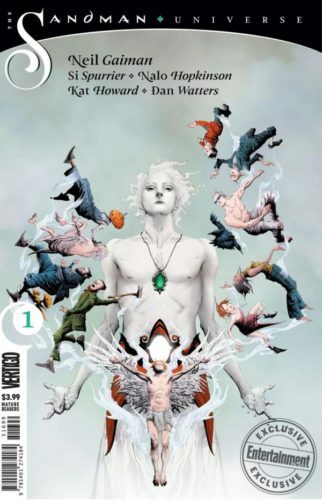 Along with Alan Moore’s Swamp Thing, Neil Gaiman‘s The Sandman paved the way for Vertigo Comics. When Gaiman ended the series, it was with the understanding that DC Comics would not use its characters without his involvement, or at least approval. 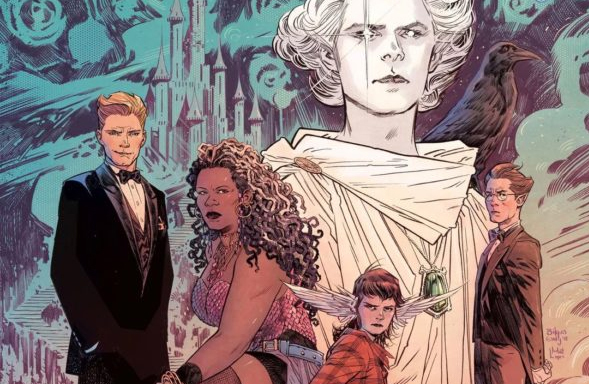 So the inhabitants of the Dreaming have rarely appeared in the last couple of decades — but that’s about to change, just in time for the 30th anniversary of The Sandman. House of Whispers, written by Hopkinson, features the voodoo deity Erzulie as the resident of said house, trying to close the gap between realms. Books of Magic, written by Howard, revisits boy magician Tim Hunter (who, please note, came before Harry Potter) as he decides between magic or normalcy. Hunter did appear fairly recently in Justice League Dark, but it’s pretty safe to say that that will be ignored. The Dreaming, written by Spurrier, stars the great supporting cast that includes Lucien the librarian and Matthew the Raven. Can Merv Pumpkinhead be far behind? Lucifer, written by Watters, focuses on the Fox TV star who has fallen again, blind, destitute, and trapped in a small town. Again, it’s safe to assume that the recent relaunch of the character will either be only obliquely referenced or completely ignored. The artists have not been announced yet, but there’s no doubt they will be top tier. And that’s no dream.